What a week of upsets! The first week of the NA and EU LCS both delivered a ton of great games, with an amazing number of unexpected outcomes. To preserve intellectual honesty, my predictions were 7/10 for EU and a miserable 4/10 for NA. What a week of upsets! The first week of the NA and EU LCS both delivered a ton of great games, with an amazing number of unexpected outcomes. To preserve intellectual honesty, my predictions were 7/10 for EU and a miserable 4/10 for NA. This was in a large part to the surprise dominance of Fnatic and Giants, as well as the collapse of Cloud 9 which no one would have predicted. SK gaming looked just as strong as I felt they would balancing out the weak showing by Unicorns of Love, giving my general ideas regarding the rankings an even more competitive similarity for the rest of the split. Will Elements recover? I think so, but Fnatic is much more exciting to watch as they have a lot of week one hype to live up to. On the other side of the pond, will Liquid Piglet live up to the hype? Will CLG pick up the slack once they get their dignified top laner in action? Doublelift and Aphromoo both performed great week one so I’m interested to see how they do with their full line up. So what games should you watch if you are short for time? Game to Watch: Fnatic v Roccat. Roccat is the gatekeeper this season. They might not be top three, but they have the potential to beat the top teams, which may determine the top seeds this season. Will Fnatic keep their record? This game will be a good indicator. 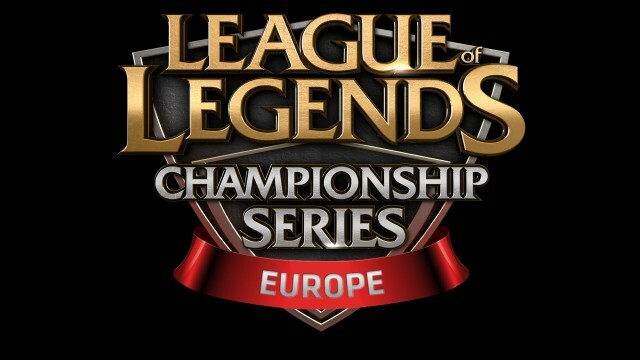 Honorable mention to UoL vs Giants as I think this will be the game which proves Giants had an easy week one. Will they take the game and prove they are truly a team to be taken seriously this split? Game to Watch: SK vs Unicorns is the game to watch here. SK and UoL are both in the running for top three this split, and there is a big difference between third and fourth, as only one gets the last spot at worlds. Unicorns look strong, PowerofEvil especially, but SK has an insane amount of talent lead by a Forgiven who looks brutal with a good team at his back. Game to Watch: Cloud 9 vs Team Liquid will be a great one, with the entrance of Piglet to the scene and a C9 with something to prove, you can expect a championship level game here. These two teams are easy to envision as the split champions and runners up if one takes down the perennially strong TSM, so this is the first of two very important meetings. Honorable mention to TSM vs Winterfox since WFX is getting their jungler and top laners back, and performed insane if inconsistent week one. Game to Watch: Team Solo Mid vs Team Liquid, for the mirror of day one, with this being a possible split final if either team takes out C9 to get there. I expect Piglet and Xspecial to dominate the TSM bot lane without Bjergsen destroying Fenix in the mid lane. Watch for IWillDominate to expose the sub par Santorin in the jungle. Honorable mention to C9 vs CLG, which will be a great game if C9 return to form. Over all this is another week of great games, though I expect more stomps than week one. Plan your fantasy teams accordingly, I’m just glad I have Altec and a number of Fnatic members who seem ready and willing to rack up the points. Enjoy the week!